Everyday, from 9:00 a.m. to 8:00 p.m.
From the exquisite French bakery, the Master bakers of Amín have made a careful selection of specialties, each one of them are internationally renowned. These are made with thoroughly selected raw materials, complying with all the rules and professional techniques of haute cuisine. 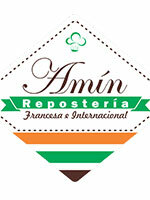 In Amín you will find fine desserts, for discerning tastes.